You are here: Home / Rotaract Health / We are louder together! This year, encouraged by the experience of one of our members, we reach out to the Zagreb club of laryngectomy patients. Laryngectomy patients are people who have, most often due to the consequences of a vocal chords tumor, lost their ability to speak. 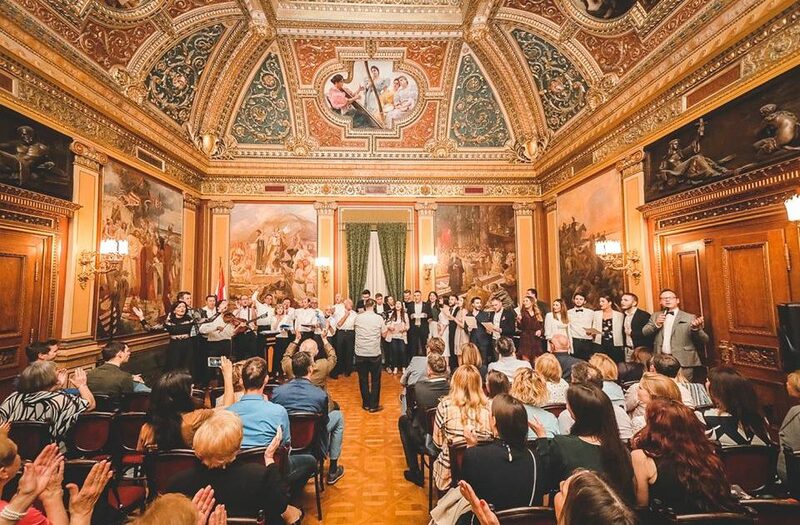 Despite this, the Zagreb club of laryngectomy patients has founded the first ever choir “Optimist“, where the singers are the patients themselves. Our club has, inspired by their story, decided to start working on an action together, with which we could raise some funds for the purchase of their much needed speaking aid machines. 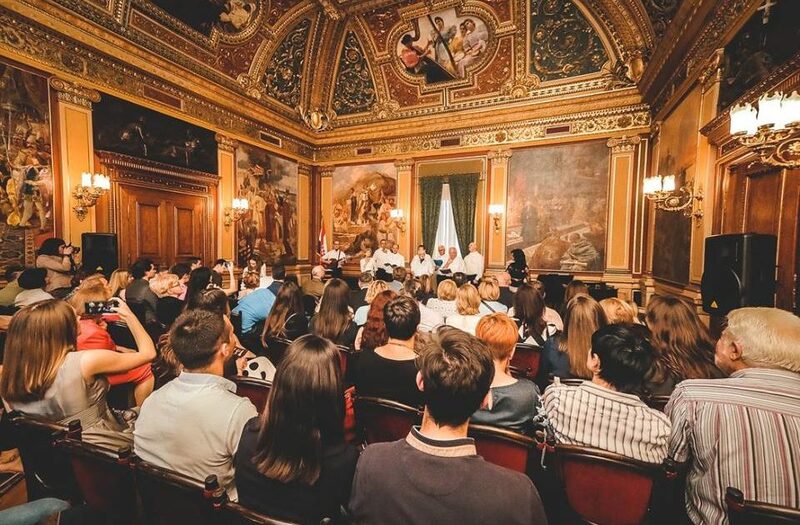 We decided to name the action “Zajedno smo glasniji“ (“Together we are louder“) and decided that the main part of the action will be a concert with performers from a range of different fields in music and dance. Aside from the main performance of the night, which of course was the performance of the “Optimist“ choir, performers who joined the concert are dance pair from the dancing centre Zagreb by Nicolas, singers Tvrtko Stipić, Adam Končić followed by Oliver Belošević, a string quartet of Zagreb Philharmonic Orchestra and lastly, Paganini band who joined the choir “Optimist” for the final performance of the night. A concert was a success, along with many people attending and the funds collected, we could really see that, when we come together, we can achieve a lot. 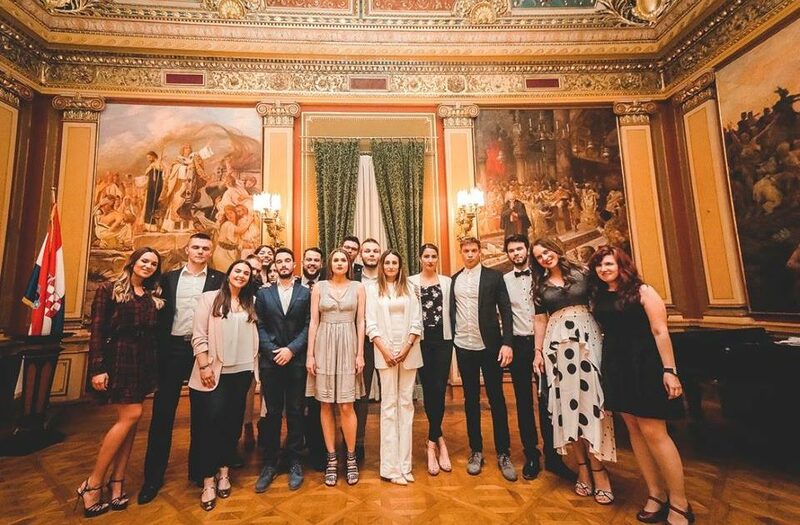 We would like to thank the choir “Optimist“, all of the performers and everyone who helped our action, either with their presence at the concert or donations, because by helping us, they helped our new friends from the Zagreb laryngectomy club.